Why Health Sciences or Public Health at Carroll? These programs give a great foundation if you're interested in a career that involves human health. Because of the multi-disciplinary nature of these programs, many of the courses fulfill the requirements for entry into competitive graduate and professional programs. Some of our grads apply and are accepted into these programs, while others seek work experience after graduation. 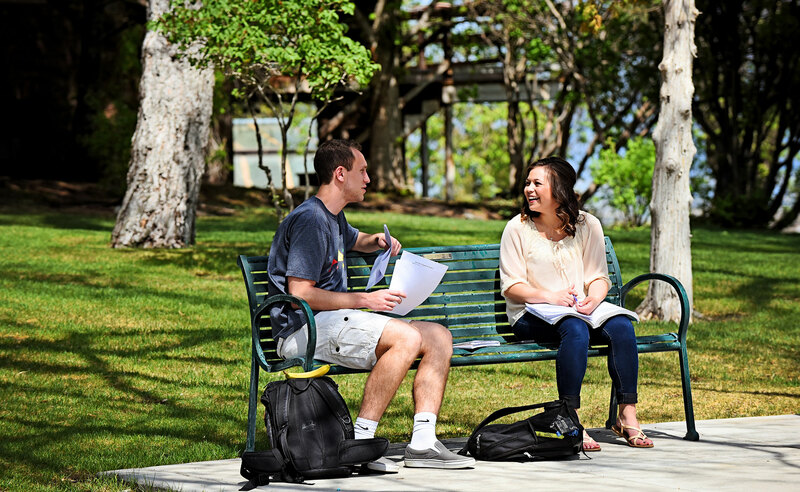 Carroll College’s Health Sciences and Public Health programs are based on the application of evidence-based, health-related knowledge, with a goal of developing future leaders in health promotion and disease prevention on the individual, local, national, and global levels. These degree programs are inherently interdisciplinary, with emphases that include the biological, quantitative, and social sciences. They introduce students to an integrated model of health improvement and maintenance so that graduates may competently address the complex public health challenges facing the world today. The Health Sciences major is designed for students seeking careers in clinical fields such as physical therapy, physician’s assistant, occupational therapy, and pharmacy. The Public Health major is intended for students who want to improve health by informing and leading decision-making by policymakers, practitioners, and the public, in order to advance individual and population health. These students may pursue work in population health fields such as infection control, epidemiology, and environmental health, and also in community health and education. Both degree programs work to develop future leaders who rely on their knowledge of current research for improving health on both the individual and community levels. To offer students with practical experience that will supplement their academic work and facilitate their entry into a chosen health career. Serving communities with humility, especially those that are marginalized. HS/PH major Heidi Hohmann was recently awarded the George M. Dennison Civic Engagement Scholarship by the Montana Campus Compact for her tireless investment in community service through her work with Special Olympics, animal welfare and children. Carroll College's public health students present their work on prescription drug abuse to the Helena community at the state capitol on April 23, 2018. On May 12, 2018, 34 students in the Department of Health Sciences received their diploma during Carroll College's 108th Commencement. Congratulations Graduates! Twenty-two students presented Health Sciences posters at Carroll’s 2018 Student Undergraduate Research Festival (SURF), based on research projects they did under the supervision of Health Sciences faculty or as part of an internship. Health Sciences Departmental Award recognizes juniors and seniors majoring in Health Sciences or Public Health who have demonstrated excellent scholarship a Carroll and in their required major courses. The Bureau of Labor Statistics projects that nearly a third of all new wage and salary jobs (5.0 million) between 2012-2022 will be in the health care and social assistance sectors. The BLS also finds that fourteen of the 30 occupations with the largest percentage increases in employment between 2012 and 2022 are related to healthcare. A degree in the health sciences opens the door to a range of career opportunities, including graduate or professional school, as well as positions in state or county health departments and laboratories.